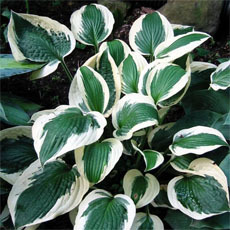 39 members have or want this plant for trade. I was disappointed to see Lauren's Grape and a nice pink poppy in the Select Seeds catalog marked "can't ship to West Virginia." Fortunately, some other sellers didn't know this and I found both a blue and a lavender and pink variety. Some I started inside and transplanted--they seemed to take but only two survived to bloom size and barely managed to bloom before dying. Maybe it's because I planted the others in a bed I made very sandy that they thrived, and I had to thin them several times. They bloomed at least two weeks--finishing up now. Bees loved them, and there are 30 or more seedheads. I like poppy seeds in and atop bread and rolls but have realized I'd need a whole field of these to get a pound of poppy seed. I think the foliage is coarse and ugly, but the flowers are worth it. The double forms are often listed (incorrectly) as P. paeoniflorum or P. laciniatum by timid seed sellers who are (unnecessarily) afraid of drug enforcement authorities. Also called peony poppy or pompom poppy. Poppies are famously unhappy about being transplanted. Plant seeds in situ in late winter where you want the plants to grow. The bloom season is brief, about 2 weeks. 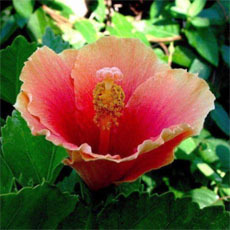 Plants look unsightly after blooming, and may be best grown in a cutting garden if seedpods are desired. when i was a kid in the 50s or 60s the lady next door grew this. i did see it but only barely remember. i do remember my mom said it was beautiful to look at but the woman or maybe it was my mom said it would give you a headache if smelled it. Papaver somniferum grows well in Zone 7A, central Virginia, for which I am grateful as I have no luck with the perennial poppies. Gardeners here share seeds, which I have heard are not available commercially, due to the potential for making opium. When the seed pod dries, little holes appear along the top and it becomes a seed shaker. That way you can harvest the seeds and keep the pod for dried flower arrangements, too. 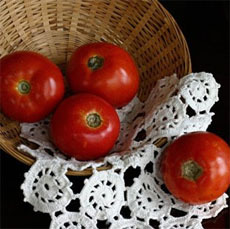 I had saved seeds (in the refrigerator) from several years, and I decided I'd better plant them before it was too late. In early October, I strewed them in a new area in the yard. Because of the summer heat and humidity, it is recommended to plant the seeds in the fall, not in the spring. Now in March, I am having to thin out the baby poppies-- I hate... read more having to throw them away, but they do not transplant well. They will be two to three and a half feet tall, bright pink and red. There is a point where the pod is not yet dry enough to harvest, when the poppies do look pretty scrappy. Best not to plant them in a bed where that is going to be a concern. Scattered packets of several cultivars of these in rainy, chilly March. 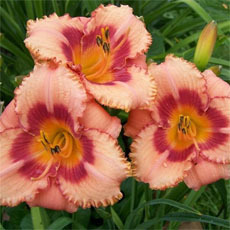 They were nearly invisible until June, when they shot up and quickly bloomed. 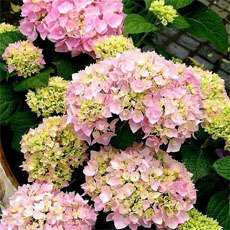 Planted in a watered, sunny, fertile soil area they are 4 feet high with flowers 5 inches across in purples, pinks, some puff balls and some with large satiny petals. They bloomed at the same time as the delphiniums, making a spectacular combination. The ones in dry, infertile areas are much smaller, and smaller flowered, but still gorgeous. The flowers don't last too long but they make up for this with heavy bloom. The seed pods are interesting looking. My sister-in-law had a dried floral arrangement with some striking large pods in it. I figured it was some type of dried poppy pod, and I made a small hole and extracted some seeds to see if they'd grow. To my delight, they did grow quite profusely in my garden in the New England. I waited too long to pick the pods for drying however, and they burst open and dropped their seeds. I think you should pick the pods while still green and hang them to dry if you want the pods for floral arrangements, rather than waiting for them to dry on the stem. They like full sun - mine were in afternoon sun only and were leggy and needed staking to avoid flopping over. While trying to identify this plant on-line, I found websites where people describe using the pods (purchased at a craft store!) to make... read more an opium tea. One person even became quite addicted to it, and described ordering large quanties of the dried pods from on-line sources. I think you'd have to grow many more poppies than would be possible in the average garden in order to get any kind of habit going, but be warned that there is abuse potential with this plant. of the legalities it comes with. Quite frankly, I find the breadseed poppy to be gorgeous. down and instead now grow Oriental Poppies. have a bit of sense about them, plant away. 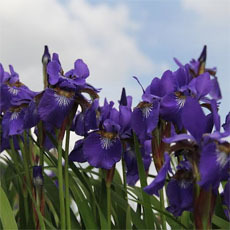 Blossoms are gorgeous when they first open, intense purple with an interior that is almost chartreuse. Alas, we had an uncharacteristically rainy spring, and all my poppies are badly infected with powdery mildew. I get good bloms for about a week, and then the mildew hits the buds. But I will plant this again next year. I've grown a few varieties of this type of poppy over the years, and the flowers are always a beautiful springtime sight. I only wish the growing habit was a bit tidier and easier to deal with, the plants tend to break or topple easily if left unsupported. 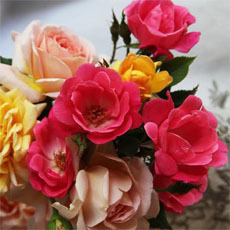 Each flower lasts for only a single day, but each plant usually produces several blooms in succession over a 2-3 week period. The only pests I've encountered when growing this plant are aphids. 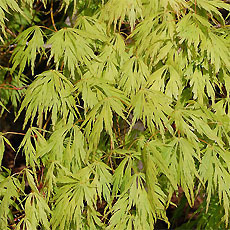 The black aphids love this plant and can cause yellowing and deformed leaves and buds if left unchecked. Powdery mildew can also be a problem but it usually doesn't do too much damage unless it's an unusually cool, wet spring. Keep in mind if you let this plant go to seed you will have poppies popping up for years... read more to come (all over the place! lol). In the neighborhood of Brooklyn NY where I used to live, Greenpoint, there were several importers of seeds and spices. Wherever a bag of bread seed poppies spilled, they sprang up in the cracks of the sidewalks. 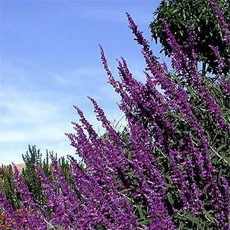 They always flowered lavender, with paler markings near the center, and had crude weedy-looking foliage. Very vigorous--I assume these seeds had been irradiated or fumigated during the importing process, but they were still viable. I found an opium poppy growing in an area used in the past as refuse for grass clippings, wood, etc. I was taken by the beauty of the plant, and began trying to identify it. I found it on this website. After seeing it a 2nd time I suspected it was of the poppy family. I live in Illinois, the midwest and really never expected to see one growing in this state or in a wooded area. I've only seen these plants once, in a large garden in Point Reyes, California, where in September the beautiful flowers were turning into huge seed pods you could shake like a rattle. Spectacular, colorful flowers. In Central Texas, poppy seeds sown in Fall will germinate in early winter and form basal rosettes. An ice storm on February 25th did not cause significant damage. My plants bolted up and bloomed in March -- spectacular, but for only a couple of weeks. By late May they had already produced ripe seed pods. These annuals do not stand alone well (in zone 8 - hot) but contribute beautifully to a mixed flower border. An annual that has been cultivated (and naturalised) for so long no one is sure of it's region of origin. Has oblong, lobed, blue green leaves. Bears large, saucer or bowl shaped, red, lavender/purple, white or pink flowers. After flowers come the decorative seed heads hich are initially blue-green, drying to light brown. Loves well-drained, fertile soil in sun.